There are millions of websites out there in the internet. The internet is a sea of content from different websites. In this article, we will discuss on how you can improve your website’s SEO. We’ll discuss the first 5 essential steps in critiquing a website’s SEO friendliness. How to Critique a Website’s SEO? One of the most important things that make up your content is the title. Not only does the title works to entice interest of your prospect audiences, but it also serves as bait in targeting keywords that users type in the search field. don’t ever publish a post without a title. Aim to always use common terms that are relevant to the topic. Check your language and make sure also that it is understandable by your target market. Sometimes, it is really too tempting to copy articles from our inspiration and blog idols and paste a chunk of them to our own page. Our readers will look up on us with our cornerstone content and great writing style. However, we cannot fake it and make it to success with SEO. Search engines are in the lookout for duplicate contents on the web. They do not honor contents that are only taken from already published posts. So no matter how hard it is to write an original and unique content in your website, consider this as a mighty feat and wait to reap the benefits later on. To check if you are nearly copying contents from other websites without intention, you can use free online tools present in websites. A popular one that we can suggest is CopyScape. Every blog post is recommended to acquire at least one good image to complement the text. Images are incorporated to further the understanding of the readers on the content. When uploading an image, check whether there is an alt or description. A properly optimized image should have some keywords attached to it through the alt tag. Your main aim in SEO should be consistent and increasing traffic of visitors. In order to win traffic, you must have the ideal keywords for your niche. You can utilize Google’s free keywords tool (Google Adwords). Here you can determine the estimated volumes of searches being conducted locally and internationally on specific keywords and phrases. Then make a list of the top 25 keywords to get you started. If your website does not appear in the first few pages of the search engine upon entering these keywords on your list, you may not be on the right track. On the web today, social media reign as a worldwide trend. People share content that they appreciate and like. Links of these websites being shared propagate in different social networking sites. And these are the channels where traffic is directed to your page even more. An optimized website with SEO should have the share buttons presented nicely. They should be made ready for clicks and recommendations of the readers to improve traffic and ultimately conversion. Also, there must be buttons of feeds for syndication. Search engines spiders crawl to feeds to get your content promoted as available online. Websites with similar niches all compete to get to the top of SEO’s friendliest list. So it’s also a good pointer to visit competitor pages to know how they are coping with their SEO. Learn from authority websites and list the strength and weaknesses of the website you are critiquing. Ultimately, websites with quality content wins in the SEO game. Very useful I have just been checking through all my metadata and have made quite a few changes was always something I seemed to rush through in the past not now realise how important it is now. Using strong keywords is the main SEO ingredient for a successful website that gets more than enough search traffic directed to it. Keyword research helps you meet the primary goal of search engines which is to provide their customers with relevant content. Relevancy is measured by the degree your content matches their search query. Sites that are perfect matches to queries enjoy higher SERP rankings. If your site is low on relevancy, search engines pick up on this because their customers quickly leave your site. But when your site is relevant, your bounce rate for that landing page decreases substantially. Most people understand the concept of SEO, but what about content? When we say content, we mean industry news content – writing about your industry on your website. Google and other search engines love sites that do this. Yet we don’t just create content for the sake of it – our content is written by writers with English as their first language, so the content will be as useful to your visitors as it will be to the search engines. Really nice share! Your post contains useful tips. I agree about your conclusion on visiting sites of your competitors sometimes. Spying on them could really give you ideas about their sites progress and coping. Online business marketing is not easy considering the amount of competitors you may have. A nice share!!! The post disseminates a great set of valuable tips. I got a lot of learning through this post. Grabbing the right keywords and working on them can surely work wonders for a website. Thanks for the share. 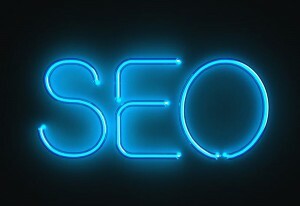 analysis positioning | position performance | perform placement submission | submit speed optimizing | optimize Understanding this you could incorporate them into a sentence and place the sentence strategically on your pages in order to achieve stronger organic rankings for your keywords that you have clearly identified for that page. For example, based on the keywords above one could compile a sentence that would rank well in search engines and augment the term “optimization”. In this example, every keyword is used in some form, but used strategically. This is also a great way to look for terms for your tags when blogging. To be prepared for the critiques is very important. Thanks for the useful share. Wow! Thank you so much for all your comments on my article. It’s my privilege and honor to have been given the opportunity to write here. SEO is about making the website in such a way that it appears higher in the search rankings. I believe that SEO can alone not attract traffic and entice readers . Up to date and fresh content plays a pivotal role to build up a loyal audience . Numero Uno Web Solutions says that a successful SEO content marketing campaign is contingent upon getting the right links. If keywords make the copy too awkward, it may be necessary to change the keywords. There are also times when specific keywords must be used. Regardless, proper grammar and spelling are important, since misspelling and grammatical errors can reflect poorly on a web site’s credibility and can translate into lost revenue. Filling your website’s content with keywords will not help you achieve a better search engine ranking. Search engines do not reward websites with high keyword counts and the practice is not appealing to readers. Repeat keywords approximately 3 times within the text of your web page. If your web page has a large amount of text, the amount may be increased proportionally. Importance of this data: Meta information of a domain includes the general information which is almost provided in the head section of each website on the net. This information mostly includes the title of the page, the short description of a page content, i.e the short overview of a content located on page. This description helps the search engines to show information about the particular page to users in their search reults. Keywords are also included in the meta information. Keywords includes a set of words which includes words which shows the page content. Keywords are also meant to describe the words included in the page content. This set of words includes most important keywords of the page. Your SEO keywords are the key words and phrases in your web content that make it possible for people to find your site via search engines. A website that is well optimized for search engines “speaks the same language” as its potential visitor base with keywords for SEO that help connect searchers to your site. In other words, you need to know how people are looking for the products, services or information that you offer, in order to make it easy for them to find you—otherwise, they’ll land on one of the many other results in the SERPs . Implementing keyword seo will help your site rank above your competitors. tags of the page’s code) gets special attention because search engines compare information found there with other pages to determine relevance. SEO copywriters also strive for unique written content on the page, distinguishing it from similar pages competing for placement in the search results. Other factors that determine relevance during a search are the page’s keyword density , the placement of the keywords, and the number of links to and from the page from other pages. Search Engine Optimization (SEO) is a process which improves a website’s quality of traffic organically through search engines like Google, Yahoo and Bing. Keyword research, link building, article writing, content development, graphic design and social media optimization are all elements that play a significant role in your website’s search engine success. At IMP Canada, we carry out and monitor each one of these factors and how they correspond with your company objectives. We look at how much traffic your website receives, where visitors are coming from, what pages are looked at and how long users stay. Our clients receive monthly reports that provide a clear insight of their website progress. Link building: Connecting your websites to other relevant sites can boost website traffic and gain popularity with search engines. Websites with a substantial amount of links attract search engines and web users. It’s like having a bunch of digital arrows all pointing in your direction. Article writing: Creating informational articles about your services and products can be extremely helpful when searching online. Choosing topics that are related to your industry can help users learn more about your business. Keyword Research: Researching which keywords are the right keywords takes time, patience and observation. Having the proper keywords strategically placed throughout website content can create interest from search engines and opportunities for potential customers to see your products and services. SEO needs to be dealt with in a specific method in order for it to achieve successful results. If a website is properly search engine optimized, companies can increase their website visibility, gain more traffic, strengthen brand identity and distinguish itself from competitors. Contact us if you’d like to know how IMP Canada can help your business, or fill out our FREE Website Audit to see how your website measures up. On-page optimization is an important and integral part of website SEO activities performed by our seo professionals. As the name suggests, on-page optimization is the process of optimizing the website in order to make that search engine friendly. This process of web page optimization includes keywords, content, html optimization, fixing up the html errors and many more for which search engines would love to crawl the website. To begin with, keyword optimization is the primary task to be done in website SEO optimization process, where searching the relevant keywords and optimizing those in the website is crucial. Once done with keyword optimization, secondary focus should be done on content optimization part, where website’s content needs to be optimized with proper usage of keywords. Apart from these activities, on-page optimization processes involve Meta Tags, Image Optimization, Anchor Text Optimization, Robots txt., Link Optimization, SEO Friendly URL, Canonical issue, Heading opt., Google Analytics, Webmaster Setup and much more. 6. Overall Word Count The amount of words you have on a Web page will vary by topic, keyword and intent. But, in general, less than 250 words is rarely recommended – especially if you’re trying to optimize for keywords. Informational Web pages will almost always warrant at least 450 words. And quality content is key. Search engines regularly read and archive websites so that people can find them easily. For example, a person may be searching for ways to cook salmon . If your website is about salmon and optimized properly, your site should appear within the first page or two of every search engine. Thanks Mara for stopping by and sharing your views on this. Website Optimisation We ensure your website is content rich and search engine friendly. thanks of that great share, nice advises specialy for me , im new in blogging. Thanks a lot for sharing the 5 ways to critique a website SEO. This will actually help me. SEO are very important this days. Very useful post! Online business is never easy, especially with all the competitors out there. But working hard on your website and giving quality content are for me the best weapon to gain success in this business.